This is such an awesome idea that I wish my kids were little again. 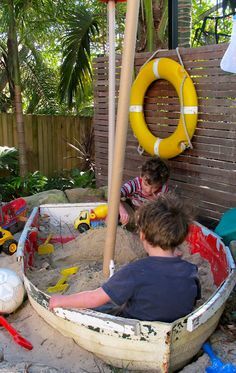 Can you image the stories that they can tell while playing in their own boat sandbox? What a great way to recycle a small boat that has a hole in it. I would love to see your recycled sandbox.